It is often said that war is hell, and let’s face it – the Cold War was no exception. Not in the slightest, but fortunately, like history’s other gruesome battles, this too came to an end… eventually. 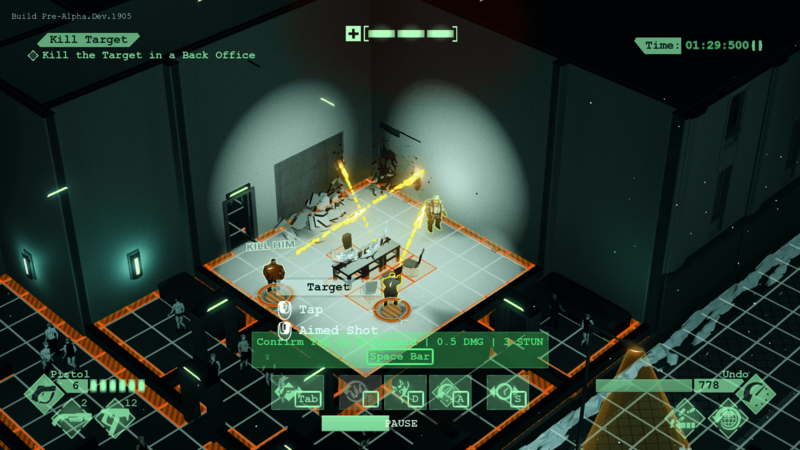 Except in All Walls Must Fall, the upcoming tactical tech-noir title from inbetweengames, where, well, it didn’t. Not even all the way into the futuristic year 2089! A terrifying thought, if not for the fact that we are talking about a video game here. One with quite the lovely aesthetic, time travel, grid-based strategy and a protagonist from 2017 (I think). Wait, did I mention time travel? That’s not to say you will be jumping back and forth between the second World War and Berlin in 2089, but… the entire campaign does take place over the course of a single night. “Gotta go fast”? Nah. Don’t worry – it’s all over in the blink of an eye. I mean, completely ignoring the fact that you’re able to manipulate time, pausing the action – or perhaps even rewind to a prior state – of course. Then, once everything’s taken care of and everyone’s dead, it’s replay time; or, as the developer puts it, “the music gets turned up to 11 and all the gunfire, shouts and explosions happen in time with the beat.” So groovy. As for why you’re needed, being from 2017… uh, best I can tell, the two sides that make up this neverending battle both capable of traveling back in time and all, changing the past and such is likely the reason for the Cold War still going on, ya know? It’s like a game of Chess where both players know what the other one is thinking – no outsmarting, nor a way to determine a victor! And… that’s not even the biggest problem with the conflict in All Walls Must Fall either. See, someone – unknown to either side – is apparently planning on launching a world-ending nuclear strike! Needless to say, this can not happen under any circumstances, so it’s time to have your strategical prowess put to the test in grid-based combat; or, alternatively, you could persuade involved parties to play nice? Honestly, I’m more the run ‘n gun type, but seeing how you do have the ability to travel back in time for a nice clean slate with the people you just pissed off – why not use it? Certainly a method less likely to get you killed, for starters! While we already have a basic version of the game, there is so much more we want to do with it! We are certain we will be able to ship it in some form already. But to make it what it truly can be and deserves to be, we will need you help! inbetween’s game won’t be able to rewind for a do-over on Kickstarter, however. It’s all or nothing over there, with 28 days on the clock and €4,367 ($4,697) of €15,000 ($16,190) pledged. Hardly the biggest amount a Kickstarter has ever asked for, so hopefully they’ll reach it long before the April 19 deadline. All Walls Must Fall does look undeniably awesome after all, and we could definitely do with more titles like it. I mean, just look at the gameplay segments in the trailer below. Look at it. Do it! Oh, and be sure to poke the Kickstarter page a bit, while you’re at it, okay? 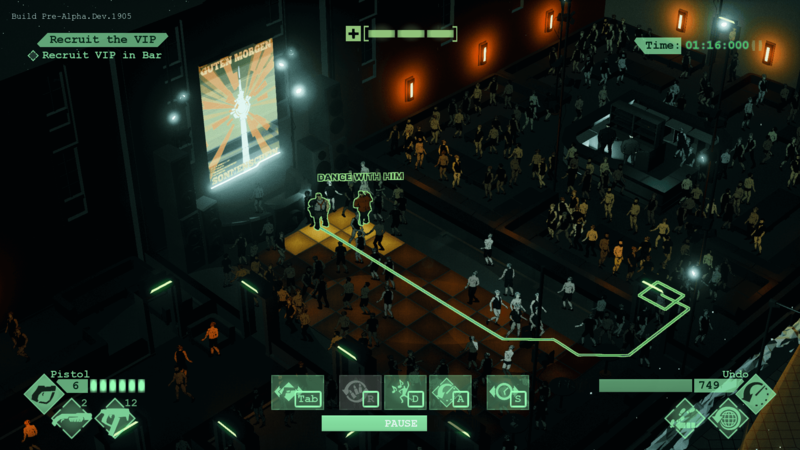 All Walls Must Fall is planned for closed alpha (Kickstarter exclusive) release this May, with open alpha hitting both itch.io and Steam Early Access in September.